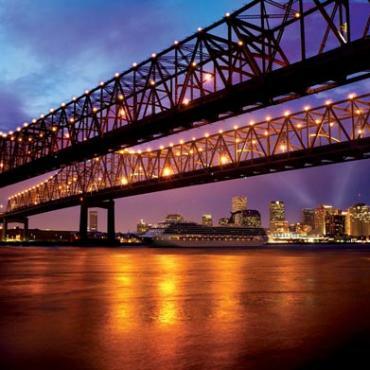 Savour the beauty and romance of New Orleans as you enjoy a leisurely evening cruise along the mighty Mississippi while being serenaded with world class Jazz music. 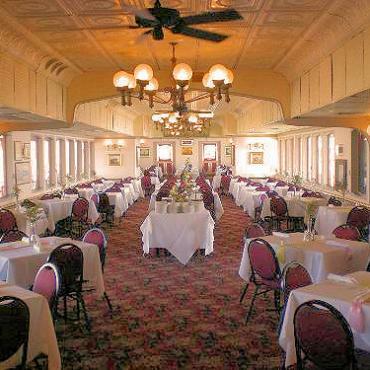 Take to the waters of the mighty Mississippi River for an evening cruise aboard the historic Steamboat Natchez which is one of only 6 authentic steamboats still operating. 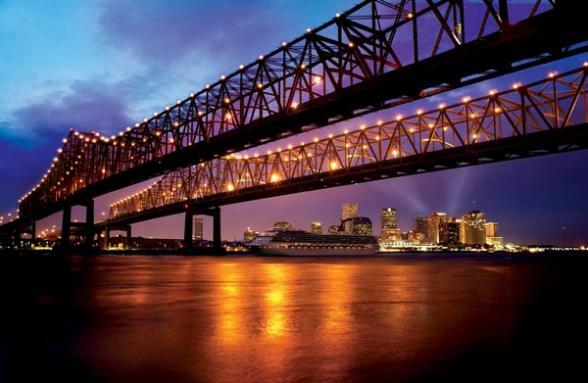 This two hour cruise includes live Jazz from the world renowned ‘Dukes of Dixieland’ and will take you back to a time when cotton was king and life was as slow and graceful as the current on the Mississippi. If the jazzy tunes aren’t enough to keep you entertained you will also be able to view the museum quality engine room of this historic vessel, and you will have full access to the decks and bars of the boat. For those wanting a taste of southern cuisine there is the option to include dinner, a casual buffet style meal offering a great array of local dishes prepared on board from the freshest ingredients. There is a choice of two sitting times, and outdoor and indoor seating is available. Prime Rib carved & served with au jus & a unique honey horseradish sauce. Boneless breast of chicken delicately marinated in Italian seasonings, white wine, and olive oil; then baked and topped with our southern pecan sauce. Fillet of Louisiana catfish lightly broiled with Cajun seasonings in a white wine marinade, served with a pinwheel of lemon. Penne pasta in a classic Alfredo sauce with Italian cheese and julienne red and yellow peppers. A casserole of spinach and artichoke hearts with a blend of three cheeses, topped with toasted bread crumbs. Fresh cut greens beans lightly seasoned and topped with roasted almonds. New potatoes lightly seasoned & roasted in a light butter garlic sauce. Freshly tossed greens & Creole tomatoes, your choice of three delicious dressings. Homemade bread pudding with Steamboat Sauce. Departs: Daily, year round. (There is no cruise on Valentines Day, Independence Day, Thanksgiving and Christmas Day). 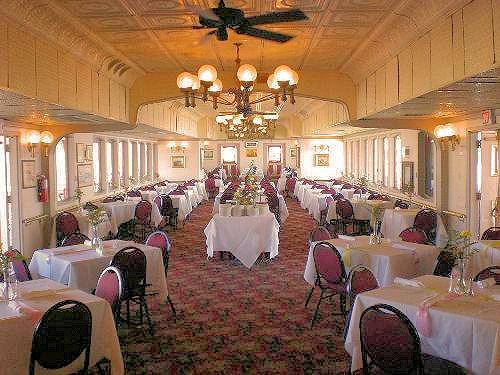 The Steamboat Natchez decks, engine room and bars will be open for your enjoyment either before or after dinner depending upon your seating time.